Royal living at its finest. 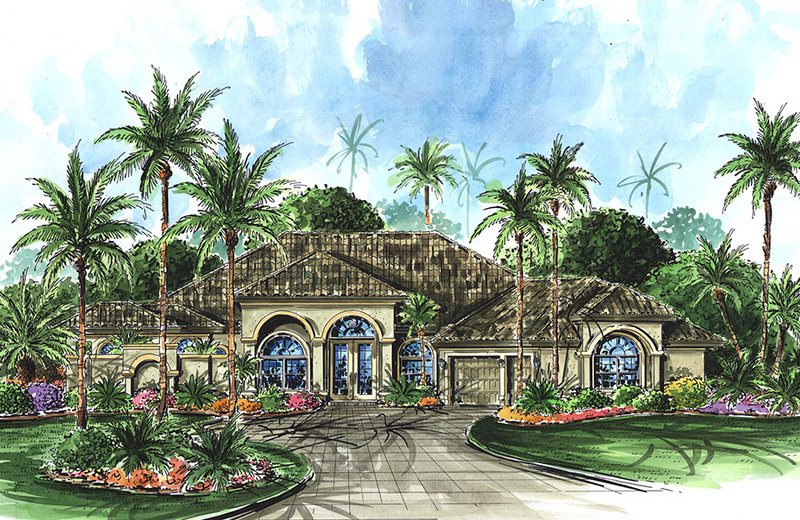 Elegance and casual living come together to create a masterful retreat. The grand foyer and entry boast 14' high ceilings. The open kitchen and great room make for easy entertaining and the summer kitchen provides easy outdoor dining and entertaining. The spacious master suite offers coffered ceilings, culture marble vanity tops, jacuzzi soaker tub and private entry to the lanai.